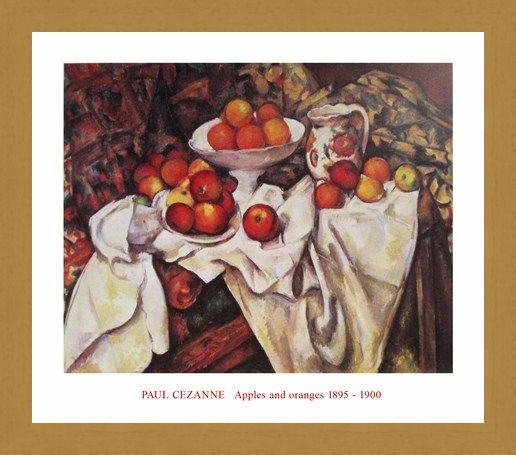 Art Print: Make sure you get two of your five a day with this delicious art print by post-impressionist artist Paul Cezanne. 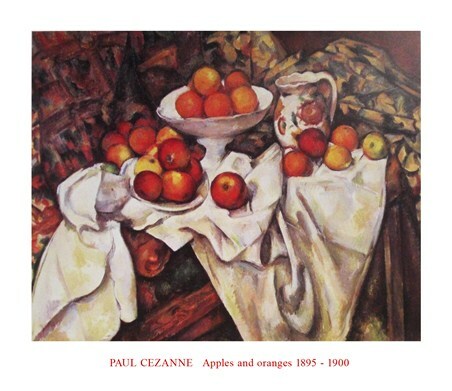 'Apples and Oranges' has been painted in classic Cezanne style with a slightly distorted perspective which creates an intriguing view of this every day image. 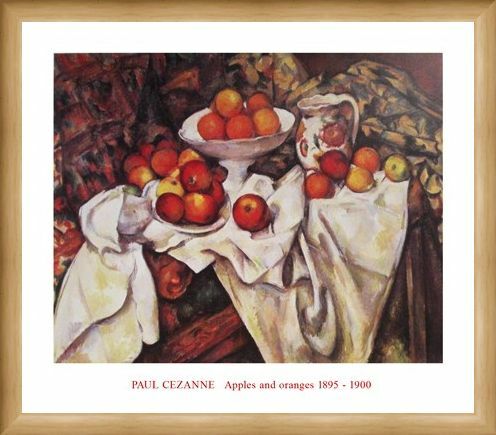 A white bowl is filled with oranges and a plate is stacked full of juicy apples as other fruits roll freely around the scrunched cloth which lies upon the table. 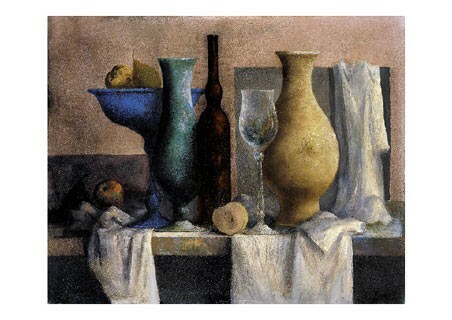 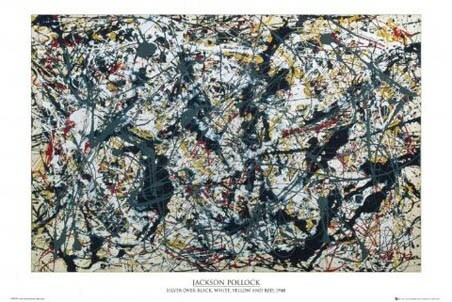 The delicate abstract design of the cloth contrasts with the white of the bowls to create a really eye catching piece. With a combination of warm hues and bright fruits, this wonderful print will make a mouth-watering addition to your home. 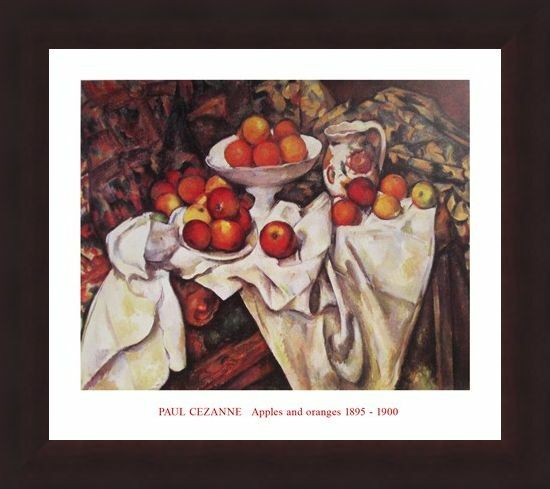 High quality, framed Apples and Oranges, Paul Cezanne print with a bespoke frame by our custom framing service.